Bathroom walls are exposed to a considerable amount of moisture, heat, and wear, which is why they should be designed and constructed well. The bathroom wall rendering process requires special technique and materials, and they should only be installed by experienced professionals in the field. If the rendering isn’t applied properly, the moisture from the bathroom will slip out of the walls and cause water damage in the surrounding areas. At All Sydney Rendering, we have ample experience with bathroom rendering Sydney and understand the process well. We’re also familiar with the best material to use for rendering to ensure it lasts for a long time. Why Does Need Concrete Render on Bathroom Walls? Brick and Concrete Walls have Gaps – Brick and concrete walls are made from several blocks of materials. These blocks are held together by mortar and this mortar fills the gaps between two blocks. However, the mortar doesn’t form a tight seal to ensure the moisture from the bathroom doesn’t travel to the other rooms. A render will help seal the gaps and ensure no moisture escapes. Tiles don’t Provide A Seal – While tiles are impermeable, they don’t provide a complete seal against moisture. They also have gaps that are filled with porous grit that allow moisture to pass through. This isn’t a problem with a rendered wall because it provides a proper barrier and ensures the moisture that seeps through the grit doesn’t cause problems to the adjoining rooms. Level Surface – Bricks and concrete blocks don’t provide a flat and leveled surface, which can be a problem when you want to install tiles on top. A render will completely smooth over the edges and dimensions of individual blocks and provide a clean surface for the tile installation. Texture – In order for the tiles to stay in place, the base needs to have some texture. During the rendering process in Sydney, our experts will ensure the surface is scored and textured before the material dries and sets. This ensures your rendered bathroom walls provide the best surface. 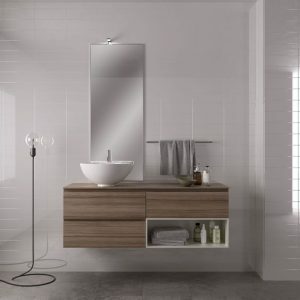 Why Hire Professional Bathroom Rendering Sydney Service? Surface Preparation – They’ll make sure the surface is prepared and the render adheres to it well. No matter what kind of walls you have in your bathroom, the surface of them should be prepared in order to ensure the render mix stays put and doesn’t move after it dries. Right Mix – The render material is usually a mix of sand and cement, or sand, cement, and acrylic. All of these components should be mixed well in order to ensure the render is of good quality and durable. Some rendering professionals attempt to reduce the cost of the render by not mixings the ingredients in the right quantities and that can prove to be a mistake in the long run. Perfectly Flat Surface – Bathroom walls need to be rendered carefully because the surface forms a base and foundation for tiles. If the surface isn’t perfectly flat and level, the tiles won’t sit well on top of it and even develop cracks down the line. Perfectly Square Edges – The edges and corners of the wall surface need to be perfectly square in order to provide symmetry to the walls and a good surface for corner tiles. This requires precision, meticulousness, and accuracy. An experienced professional will have all of these qualities and ensure the surface preparation is done well with perfectly square edges. Our experienced render professionals know what kind of surface is required in order to provide the best adhesion to the tiles and get the best results from the tile installation. They will use good materials and techniques to ensure the render is done well. Why Hire Us For The Job? Local – We are a Sydney based, Australian owned and operated company that aims to provide excellent service and establishes a good relationship with our customers. Licensed, Insured and Experienced – We’re a fully licensed and insured business with ample Public Liability insurance coverage. We’ve also been a part of this industry for more than 15 years and understand the rendering process well. Affordable – As a customer-oriented company, we try our best to ensure our prices are low and our services are affordable. You won’t have to compromise on quality in order to save money on the rendering project. If you want to know more about our Bathroom rendering Sydney services here at All Sydney Rendering, don’t hesitate to give us a call at 0405 320 000 or use our contact us form. We’ll be happy to answer any questions you might have. We have more than 15 years of experience in this industry and understand the rendering process well. Our experts will perform a thorough inspection of your property before providing a free quote based on their findings.